For other uses, see Cacao. 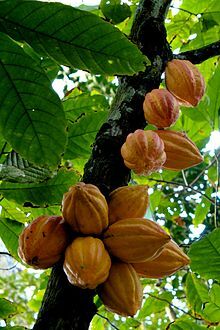 Theobroma cacao, also called the cacao tree and the cocoa tree, is a small (4–8 m (13–26 ft) tall) evergreen tree in the family Malvaceae, native to the deep tropical regions of the Americas. Its seeds, cocoa beans, are used to make chocolate liquor, cocoa solids, cocoa butter and chocolate. The flowers are produced in clusters directly on the trunk and older branches; this is known as cauliflory. The flowers are small, 1–2 cm (0.39–0.79 in) diameter, with pink calyx. The floral formula, used to represent the structure of a flower using numbers, is ✶ K5 C5 A(5°+5²) G(5). While many of the world's flowers are pollinated by bees (Hymenoptera) or butterflies/moths (Lepidoptera), cacao flowers are pollinated by tiny flies, Forcipomyia midges in the subfamily Forcipomyiinae. 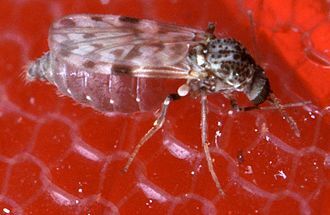 Using the natural pollinator Forcipomyia midges for Theobroma cacao was shown to have more fruit production than using artificial pollinators. 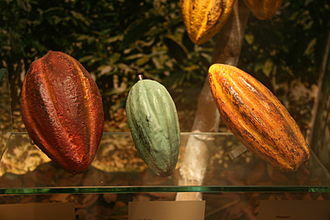 The fruit, called a cacao pod, is ovoid, 15–30 cm (5.9–11.8 in) long and 8–10 cm (3.1–3.9 in) wide, ripening yellow to orange, and weighs about 500 g (1.1 lb) when ripe. The pod contains 20 to 60 seeds, usually called "beans", embedded in a white pulp. The seeds are the main ingredient of chocolate, while the pulp is used in some countries to prepare refreshing juice, smoothies, jelly, and nata. 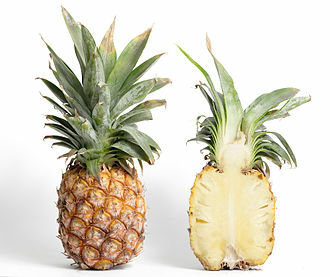 Usually discarded until practices changed in the 21st century, the fermented pulp may be distilled into an alcoholic beverage. Each seed contains a significant amount of fat (40–50%) as cocoa butter. 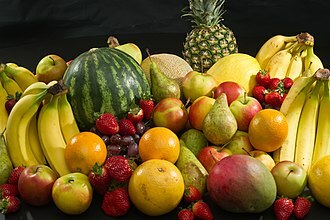 The fruit's active constituent is the stimulant theobromine, a compound similar to caffeine. Cacao (Theobroma cacao) belongs to the genus Theobroma classified under the subfamily Byttnerioideae of the mallow family Malvaceae. Cacao is one of 17 species of Theobroma. In 2008, researchers proposed a new classification based upon morphological, geographic, and genomic criteria: 10 groups have been named according to their geographic origin or the traditional cultivar name. These groups are: Amelonado, Criollo, Nacional, Contamana, Curaray, Cacao guiana, Iquitos, Marañon, Nanay, and Purús. The generic name is derived from the Greek for "food of the gods"; from θεός (theos), meaning "god", and βρῶμα (broma), meaning "food". The specific name cacao is the Hispanization of the name of the plant in indigenous Mesoamerican languages. The cacao was known as kakaw in Tzeltal, K'iche' and Classic Maya; kagaw in Sayula Popoluca; and cacahuatl in Nahuatl as "bean of the cocoa-tree". T. cacao is widely distributed from southeastern Mexico to the Amazon basin. There were originally two hypotheses about its domestication; one said that there were two foci for domestication, one in the Lacandon Jungle area of Mexico and another in lowland South America. More recent studies of patterns of DNA diversity, however, suggest that this is not the case. 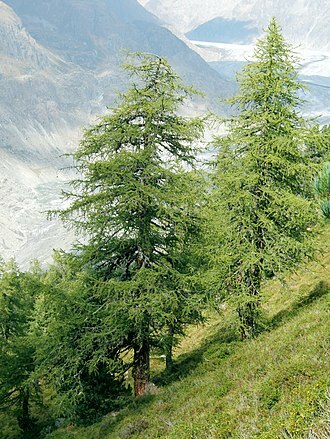 One study sampled 1241 trees and classified them into 10 distinct genetic clusters. This study also identified areas, for example around Iquitos in modern Peru and Ecuador, where representatives of several genetic clusters originated more than 5000 years ago, leading to development of the variety, Nacional cocoa bean. This result suggests that this is where T. cacao was originally domesticated, probably for the pulp that surrounds the beans, which is eaten as a snack and fermented into a mildly alcoholic beverage. Using the DNA sequences and comparing them with data derived from climate models and the known conditions suitable for cacao, one study refined the view of domestication, linking the area of greatest cacao genetic diversity to a bean-shaped area that encompasses Ecuador, the border between Brazil and Peru and the southern part of the Colombian-Brazilian border. Climate models indicate that at the peak of the last ice age 21,000 years ago, when habitat suitable for cacao was at its most reduced, this area was still suitable, and so provided a refugium for the species. Cultivation, use, and cultural elaboration of cacao were early and extensive in Mesoamerica. Ceramic vessels with residues from the preparation of cacao beverages have been found at archaeological sites dating back to the Early Formative (1900–900 BC) period. 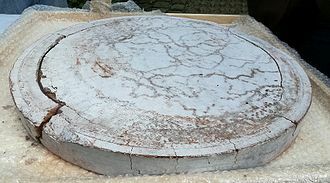 For example, one such vessel found at an Olmec archaeological site on the Gulf Coast of Veracruz, Mexico dates cacao's preparation by pre-Olmec peoples as early as 1750 BC. On the Pacific coast of Chiapas, Mexico, a Mokaya archaeological site provides evidence of cacao beverages dating even earlier, to 1900 BC. The initial domestication was probably related to the making of a fermented, thus alcoholic beverage. In 2018, researchers who analysed the genome of cultivated cacao trees concluded that the domesticated cacao trees all originated from a single domestication event that occurred about 3,600 years ago somewhere in Central America. Several mixtures of cacao are described in ancient texts, for ceremonial or medicinal, as well as culinary, purposes. Some mixtures included maize, chili, vanilla (Vanilla planifolia), and honey. Archaeological evidence for use of cacao, while relatively sparse, has come from the recovery of whole cacao beans at Uaxactun, Guatemala and from the preservation of wood fragments of the cacao tree at Belize sites including Cuello and Pulltrouser Swamp. In addition, analysis of residues from ceramic vessels has found traces of theobromine and caffeine in early formative vessels from Puerto Escondido, Honduras (1100–900 BC) and in middle formative vessels from Colha, Belize (600–400 BC) using similar techniques to those used to extract chocolate residues from four classic period (around 400 AD) vessels from a tomb at the Maya archaeological site of Rio Azul. As cacao is the only known commodity from Mesoamerica containing both of these alkaloid compounds, it seems likely these vessels were used as containers for cacao drinks. In addition, cacao is named in a hieroglyphic text on one of the Rio Azul vessels. Cacao is also believed to have been ground by the Aztecs and mixed with tobacco for smoking purposes. Cocoa was being domesticated by the Mayo Chinchipe of the upper Amazon around 3,000 BC. Cacao beans constituted both a ritual beverage and a major currency system in pre-Columbian Mesoamerican civilizations. At one point, the Aztec empire received a yearly tribute of 980 loads (xiquipil in Nahuatl) of cacao, in addition to other goods. Each load represented exactly 8,000 beans. The buying power of quality beans was such that 80–100 beans could buy a new cloth mantle. The use of cacao beans as currency is also known to have spawned counterfeiters during the Aztec empire. Kakaw (cacao) written in the Maya script: The word was also written in several other ways in old Maya texts. The Maya believed the kakaw (cacao) was discovered by the gods in a mountain that also contained other delectable foods to be used by them. According to Maya mythology, the Plumed Serpent gave cacao to the Maya after humans were created from maize by divine grandmother goddess Xmucane. The Maya celebrated an annual festival in April to honor their cacao god, Ek Chuah, an event that included the sacrifice of a dog with cacao-colored markings, additional animal sacrifices, offerings of cacao, feathers and incense, and an exchange of gifts. 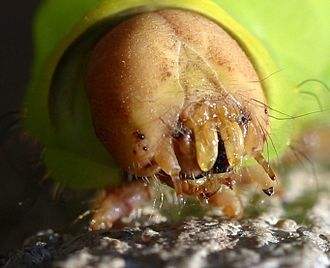 In a similar creation story, the Mexica (Aztec) god Quetzalcoatl discovered cacao (cacahuatl: "bitter water"), in a mountain filled with other plant foods. 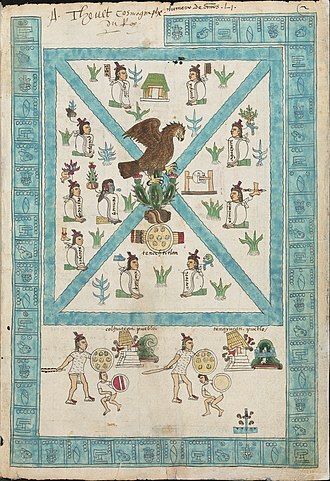 Cacao was offered regularly to a pantheon of Mexica deities and the Madrid Codex depicts priests lancing their ear lobes (autosacrifice) and covering the cacao with blood as a suitable sacrifice to the gods. The cacao beverage as ritual was used only by men, as it was believed to be toxic for women and children. The first European knowledge about chocolate came in the form of a beverage which was first introduced to the Spanish at their meeting with Moctezuma in the Aztec capital of Tenochtitlan in 1519. Cortés and others noted the vast quantities of this beverage the Aztec emperor consumed, and how it was carefully whipped by his attendants beforehand. Examples of cacao beans, along with other agricultural products, were brought back to Spain at that time, but it seems the beverage made from cacao was introduced to the Spanish court in 1544 by Kekchi Maya nobles brought from the New World to Spain by Dominican friars to meet Prince Philip. Within a century, chocolate had spread to France, England and elsewhere in Western Europe. Demand for this beverage led the French to establish cacao plantations in the Caribbean, while Spain subsequently developed their cacao plantations in their Venezuelan and Philippine colonies (Bloom 1998, Coe 1996). A painting by Dutch Golden Age artist Albert Eckhout shows a wild cacao tree in mid-seventeenth century Dutch Brazil. The Nahuatl-derived Spanish word cacao entered scientific nomenclature in 1753 after the Swedish naturalist Linnaeus published his taxonomic binomial system and coined the genus and species Theobroma cacao. Traditional pre-Hispanic beverages made with cacao are still consumed in Mesoamerica. These include the Oaxacan beverage known as tejate. In 2016, cocoa beans were cultivated on roughly 10,196,725 hectares (25,196,660 acres) worldwide. Cocoa beans are grown by large agroindustrial plantations and small producers, the bulk of production coming from millions of farmers with small plots. 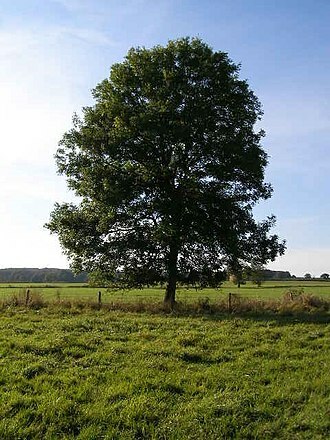 A tree begins to bear when it is four or five years old. A mature tree may have 6,000 flowers in a year, yet only about 20 pods. 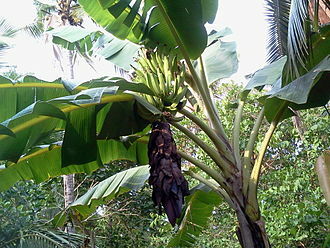 About 1,200 seeds (40 pods) are required to produce 1 kg (2.2 lb) of cocoa paste. Historically, chocolate makers have recognized three main cultivar groups of cacao beans used to make cocoa and chocolate: Forastero, Criollo and Trinitario. The most prized, rare, and expensive is the Criollo group, the cocoa bean used by the Maya. 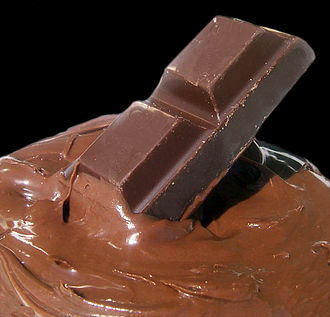 Only 10% of chocolate is made from Criollo, which is arguably less bitter and more aromatic than any other bean. In November 2000, the cacao beans coming from Chuao were awarded an appellation of origin under the title "Cacao de Chuao" (from Spanish-cacao of Chuao). The cacao bean in 80% of chocolate is made using beans of the Forastero group, the main and most ubiquitous variety being the Amenolado variety, while the arriba variety (such as the Nacional variety) are less commonly found in Forastero produce. Forastero trees are significantly hardier and more disease-resistant than Criollo trees, resulting in cheaper cacao beans. Major cocoa bean processors include Hershey's, Nestlé and Mars, all of which purchase cocoa beans via various sources. Chocolate can be made from T. cacao through a process of steps that involve harvesting, fermenting of T. cacao pulp, drying, harvesting, and then extraction. Roasting T. cacao by using superheated steam was found to be better than conventional roasting (use of ovens) because it resulted in same quality of cocoa beans in a shorter amount of time. In 2016, world production was 4.5 million tonnes, led by Ivory Coast with 33% of global production and Ghana with 19% of the total (table).. The pests and diseases to which cacao is subject, along with climate change, mean that new varieties will be needed to respond to these challenges. Breeders rely on the genetic diversity conserved in field genebanks to create new varieties, because cacao has recalcitrant seeds that cannot be stored in a conventional genebank. In an effort to improve the diversity available to breeders, and ensure the future of the field genebanks, experts have drawn up A Global Strategy for the Conservation and Use of Cacao Genetic Resources, as the Foundation for a Sustainable Cocoa Economy. The strategy has been adopted by the cacao producers and their clients, and seeks to improve the characterization of cacao diversity, the sustainability and diversity of the cacao collections, the usefulness of the collections, and to ease access to better information about the conserved material. Some natural areas of cacao diversity are protected by various forms of conservation, for example national parks. However, a recent study of genetic diversity and predicted climates suggests that many of those protected areas will no longer be suitable for cacao by 2050. It also identifies an area around Iquitos in Peru that will remain suitable for cacao and that is home to considerable genetic diversity, and recommends that this area be considered for protection. Other projects, such as the International Cocoa Quarantine Centre, aim to combat cacao diseases and preserve genetic diversity. Phytopathogens (parasitic organisms) cause much damage to Theobroma cacao plantations around the world. 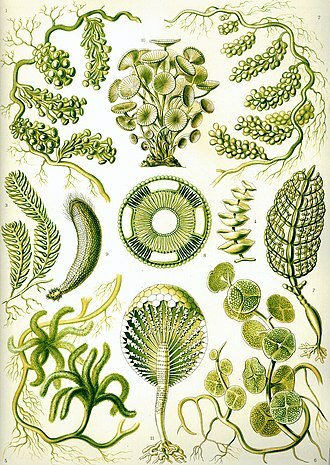 Many of those phytopathogens, which include many of the pests named below, were analyzed using mass spectrometry and allow for guiding on the correct approaches to get rid of the specific phytopathogens. This method was found to be quick, reproducible, and accurate showing promising results in the future to prevent damage to Theobroma cacao by various phytopathogens. A specific type of bacteria Streptomyces camerooniansis was found to be beneficial for T. cacao by helping plant growth by accelerating seed germination of T. cacao, inhibiting growth of various types of microorganisms (such as different oomycetes, fungi, and bacteria), and preventing rotting by Phytophthora megakarya. Various plant pests and diseases can cause serious problems for cacao production. The genome of T. cacao is diploid, its size is 430 Mbp, and it comprises 10 chromosome pairs (2n=2x=20). In September 2010, a team of scientists announced a draft sequence of the cacao genome (Matina1-6 genotype). In a second, unrelated project, the International Cocoa Genome Sequencing Consortium-ICGS, co-ordinated by CIRAD, first published in December 2010 (online, paper publication in January 2011), the sequence of the cacao genome, of the Criollo cacao (of a landrace from Belize, B97-61/B2). In their publication, they reported a detailed analysis of the genomic and genetic data. The sequence of the cacao genome identified 28,798 protein-coding genes, compared to the roughly 23,000 protein-coding genes of the human genome. About 20% of the cacao genome consists of transposable elements, a low proportion compared to other plant species. Many genes were identified as coding for flavonoids, aromatic terpenes, theobromine and many other metabolites involved in cocoa flavor and quality traits, among which a relatively high proportion code for polyphenols, which constitute up to 8% of cacao pods dry weight. The cacao genome appears close to the hypothetical hexaploid ancestor of all dicotyledonous plants, and it is proposed as an evolutionary mechanism by which the 21 chromosomes of the dicots' hypothetical hexaploid ancestor underwent major fusions leading to cacao's 10 chromosome pairs. The genome sequence enables cacao molecular biology and breeding for elite varieties through marker-assisted selection, in particular for genetic resistance to fungal, oomycete and viral diseases responsible for huge yield losses each year. In 2017–18, due to concerns about survivability of cacao plants in an era of global warming in which climates become more extreme in the narrow band of latitudes where cacao is grown (20 degrees north and south of the equator), the commercial company, Mars, Incorporated and the University of California, Berkeley are using CRISPR to adjust DNA for improved hardiness of cacao in hot climates. Immigrant workers from India relaxing on a cacao estate in Trinidad, 1903. T. cacao, leaves, fruits and seed. A. Bernecker, 1864. ^ a b c d "Genus Theobroma". The Plant List, version 1, Royal Botanic Gardens, Kew and Missouri Botanical Garden. 1 December 2010. Retrieved 19 August 2018. ^ "Theobroma cacao". Encyclopedia of Life. Retrieved 9 November 2012. ^ "Pharmacognosy and Health Benefits of Cocoa seeds (Chocolate) – Notes". PharmaXChange.info. 6 July 2013. Retrieved 19 July 2018. ^ Ronse De Craene, Louis P. (4 February 2010). 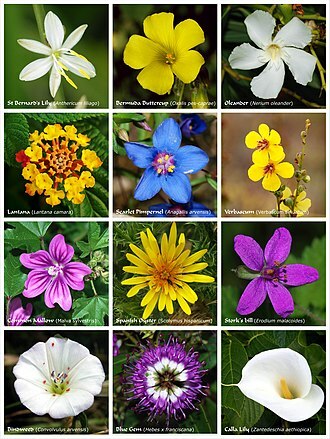 Floral Diagrams: An Aid to Understanding Flower Morphology and Evolution. Cambridge: Cambridge University Press. p. 224. ISBN 978-0-521-49346-8. ^ Hernández B., J. (1965). "Insect pollination of cacao (Theobroma cacao L.) in Costa Rica". University of Wisconsin. ^ a b Forbes, Samantha J.; Northfield, Tobin D. (26 December 2016). "Increased pollinator habitat enhances cacao fruit set and predator conservation". Ecological Applications: A Publication of the Ecological Society of America. 27 (3): 887–899. doi:10.1002/eap.1491. ISSN 1051-0761. PMID 28019052. ^ Figueira, Antonio; Janick, Jules; BeMiller, James N. (1993). "New Products from Theobroma cacao: Seed Pulp and Pod Gum". In Janick, J.; Simon, J. E. New Crops. New York: Wiley. pp. 475–478. ^ Bell, Katie K. "Cacao Cocktails: A New Tequila-Like Spirit Distilled From Cacao Fruit". Retrieved 17 March 2015. ^ a b Motamayor, Juan C.; Lachenaud, Philippe; da Silva e Mota, Jay Wallace; Loor, Rey; Kuhn, David N.; Brown, J. Steven; Schnell, Raymond J. (2008). "Geographic and Genetic Population Differentiation of the Amazonian Chocolate Tree (Theobroma cacao L.)". PLoS ONE. 3 (10): e3311. doi:10.1371/journal.pone.0003311. PMC 2551746. 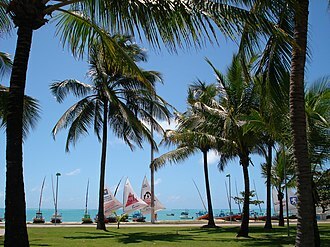 PMID 18827930. ^ "Cacao". Etymology Online Dictionary, Douglas Harper. 2018. Retrieved 19 August 2018. ^ "History of cocoa (translated)". National Association of Exporters and Industrialists of Cacao of Ecuador. 2015. Retrieved 20 February 2018. ^ Clement, Charles R.; de Cristo-Araújo, Michelly; d'Eeckenbrugge, Geo Coppens; Alves Pereira, Alessandro; Picanço-Rodrigues, Doriane (6 January 2010). "Origin and Domestication of Native Amazonian Crops". Diversity. 2 (1): 72–106. doi:10.3390/d2010072. Retrieved 9 November 2012. ^ a b Thomas, Evert; van Zonneveld, Maarten; Loo, Judy; Hodgkin, Toby; Galluzzi, Gea; van Etten, Jacob; Fuller, Dorian Q. (24 October 2012). "Present Spatial Diversity Patterns of Theobroma cacao L. in the Neotropics Reflect Genetic Differentiation in Pleistocene Refugia Followed by Human-Influenced Dispersal". PLoS ONE. 7 (10): e47676. doi:10.1371/journal.pone.0047676. PMC 3480400. PMID 23112832. ^ a b Powis, Terry G.; Hurst, W. Jeffrey; del Carmen Rodríguez, María; Ortíz C., Ponciano; Blake, Michael; Cheetham, David; Coe, Michael D.; Hodgson, John G. (December 2007). "Oldest chocolate in the New World". Antiquity. 81 (314). ISSN 0003-598X. Retrieved 15 February 2011. ^ Henderson, J. S.; et al. (2007). "Chemical and archaeological evidence for the earliest cacao beverages". Proceedings of the National Academy of Sciences. 104 (48): 18937–18940. doi:10.1073/pnas.0708815104. PMC 2141886. PMID 18024588. ^ Hammond and Miksicek (1981); Turner and Miksicek (1984). ^ Alexander Walker (1822). Colombia, relación geográfica, topográfica, agrícola, comercial y política de este país: adaptada para todo lector en general y para el comerciante y colono en particular. Tomo II. Londres: Banco de la República, pp. 284. ^ "Cocoa beans, area harvested in 2016, Crops/World regions/Cocoa beans/Area harvested from pick lists". United Nations Food and Agriculture Organization, Statistics Division (FAOSTAT). 2017. Retrieved 28 January 2018. ^ "A strategy to safeguard the future of chocolate". Bioversity International. Archived from the original on 14 April 2013. Retrieved 9 November 2012. ^ "Varieties". All about Chocolate. Retrieved 3 June 2017. ^ "Branding Matters: The Success of Chuao Cocoa Bean". Retrieved 3 June 2017. ^ a b Zzaman, Wahidu; Bhat, Rajeev; Yang, Tajul Aris; Mat Easa, Azhar (2 March 2017). "Influences of superheated steam roasting on changes in sugar, amino acid and flavor active components of cocoa bean (Theobroma cacao)". Journal of the Science of Food and Agriculture. 97 (13): 4429–4437. doi:10.1002/jsfa.8302. ISSN 1097-0010. PMID 28251656. ^ a b "Cocoa beans production in 2016, Crops/World regions/Cocoa beans/Production quantity from pick lists". United Nations Food and Agriculture Organization, Statistics Division (FAOSTAT). 2017. Retrieved 28 January 2018. ^ "Cacao Collections". CacaoNet. Retrieved 9 November 2012. ^ "Global Strategy – cacaonet". sites.google.com. Retrieved 19 July 2018. ^ Dos Santos, Fábio Neves; Tata, Alessandra; Belaz, Kátia Roberta Anacleto; Magalhães, Dilze Maria Argôlo; Luz, Edna Dora Martins Newman; Eberlin, Marcos Nogueira (1 March 2017). 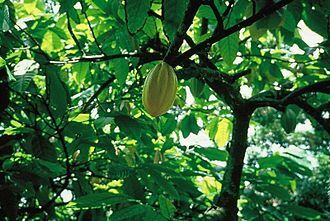 "Major phytopathogens and strains from cocoa (Theobroma cacao L.) are differentiated by MALDI-MS lipid and/or peptide/protein profiles". Analytical and Bioanalytical Chemistry. 409 (7): 1765–1777. doi:10.1007/s00216-016-0133-5. ISSN 1618-2650. PMID 28028594. ^ Boudjeko, Thaddée; Tchinda, Romaric Armel Mouafo; Zitouni, Mina; Nana, Joëlle Aimée Vera Tchatchou; Lerat, Sylvain; Beaulieu, Carole (4 March 2017). "Streptomyces cameroonensis sp. nov., a Geldanamycin Producer That Promotes Theobroma cacao Growth". Microbes and Environments. 32 (1): 24–31. doi:10.1264/jsme2.ME16095. ISSN 1347-4405. PMC 5371071. 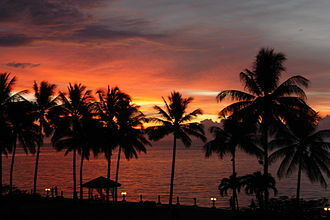 PMID 28260703. ^ "Cocoa Crop Protection". Retrieved 9 November 2012. ^ "Welcome to the Cacao Genome Project – Cacao Genome Database". Cacaogenomedb.org. Retrieved 19 July 2018. ^ Argout, Xavier; Salse, Jerome; Aury, Jean-Marc; Guiltinan, Mark J.; Droc, Gaetan; Gouzy, Jerome; Allegre, Mathilde; Chaparro, Cristian; et al. (2011). "The genome of Theobroma cacao". Nature Genetics. 43 (2): 101–108. doi:10.1038/ng.736. PMID 21186351. ^ Jaillon, Olivier; Aury, Jean-Marc; Noel, Benjamin; Policriti, Alberto; Clepet, Christian; Casagrande, Alberto; et al. (2007). "The grapevine genome sequence suggests ancestral hexaploidization in major angiosperm phyla". Nature. 449 (7161): 463–467. doi:10.1038/nature06148. PMID 17721507. Coe, Sophie D. (1994). America's First Cuisines. Austin: University of Texas Press. ISBN 0-292-71155-7. Coe, Sophie D.; Coe, Michael D. (1996). The True History of Chocolate. London: Thames & Hudson. ISBN 0-500-01693-3. Dienhart, John M. (1997). "The Mayan Languages – A Comparative Vocabulary" (PDF). Odense University. Retrieved 14 February 2007. McNeil, Cameron, ed. (2006). Chocolate in Mesoamerica: A Cultural History of Cacao. Gainesville: University of Florida Press. ISBN 0-8130-2953-8. Bergmann, John (1969). "The Distribution of Cacao Cultivation in Pre-Columbian America". Annals of the Association of American Geographers. 59 (1): 85–96. doi:10.1111/j.1467-8306.1969.tb00659.x. JSTOR 2569524. Head, Brandon (1903). The Food of the Gods: A Popular Account of Cocoa. London: R. B. Johnson. p. ii. Motamayor, J. C.; Risterucci, A. M.; Lopez, P. A.; Ortiz, C. F.; Moreno, A.; Lanaud, C. (2002). "Cacao domestication I: the origin of the cacao cultivated by the Mayas". Heredity. 89 (5): 380–386. doi:10.1038/sj.hdy.6800156. PMID 12399997. End, M. J.; Daymond, A. J.; Hadley, P. (2010). Technical Guidelines for the Safe Movement of Cacao Germplasm. Cacaonet – Bioversity International. Archived from the original on 10 May 2013. Retrieved 6 November 2012. Eskes, A. B.; Efron, Y., eds. (2006). Global Approaches to Cocoa Germplasm Utilization and Conservation. CFC – ICCO – IPGRI. Archived from the original on 10 May 2013. Retrieved 6 November 2012. 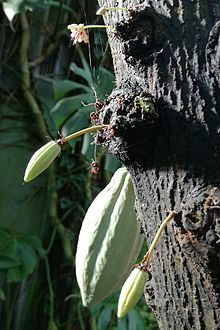 Wikimedia Commons has media related to Theobroma cacao. 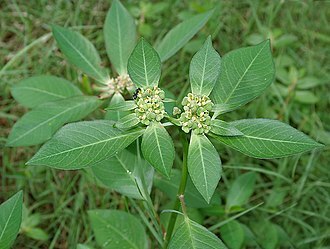 The Malvales are an order of flowering plants. As circumscribed by APG II-system, the order includes about 6000 species within 9 families, the order is placed in the eurosids II, which are part of the eudicots. 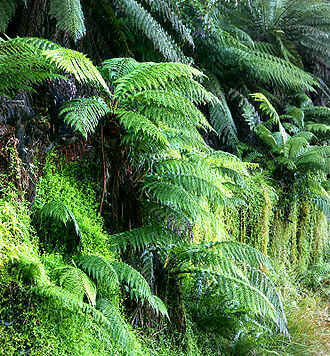 The plants are shrubs and trees, most of its families have a cosmopolitan distribution in the tropics and subtropics. 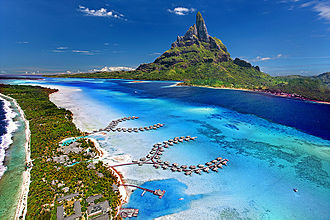 An interesting distribution occurs in Madagascar, where three families of Malvales occur. Many species of Malvaceae sensu lato are known for their wood, with that of Ochroma being known for its lightness, fruit of the cacao tree are used as an ingredient for chocolate. Kola nuts are notable for their content of caffeine. Other well-known members of Malvales in the APG II sense are daphnes, hollyhocks, baobab trees, the morphology of Malvales is diverse, with few common characteristics. Among those most commonly encountered are palmate leaves, connate sepals, the cortex is often fibrous, built of soft phloem layers. Early classifications such as that of Dahlgren placed the Malvales in the superorder Malviflorae, family boundaries and circumscriptions of the core Malvales families, Bombacaceae and Sterculiaceae, have long been problematic. Theobromine, formerly known as xantheose, is a bitter alkaloid of the cacao plant, with the chemical formula C7H8N4O2. 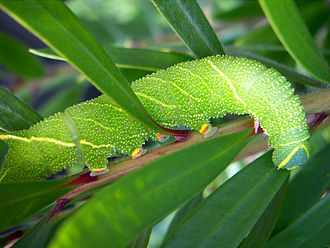 It is found in chocolate, as well as in a number of foods, including the leaves of the tea plant. 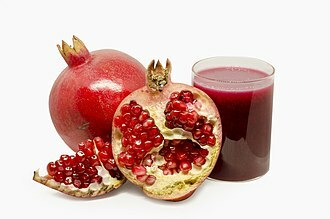 It is classified as an alkaloid, which include the similar compounds theophylline and caffeine. The compounds differ in that caffeine has a methyl group. Theobromine is a slightly water-soluble, bitter powder, theobromine is white or colourless, but commercial samples can be yellowish. It has a similar to, but lesser than, that of caffeine in the human nervous system. Theobromine is an isomer of theophylline, as well as paraxanthine, theobromine is categorized as a dimethyl xanthine. Theobromine was first discovered in 1841 in cacao beans by Russian chemist Alexander Voskresensky, synthesis of theobromine from xanthine was first reported in 1882 by Hermann Emil Fischer. Theobromine is the primary found in cocoa and chocolate. Cocoa powder can vary in the amount of theobromine, from 2% theobromine, there are usually higher concentrations in dark than in milk chocolate. Fermenting cocoa beans on a farm east of Honiara, the capital of the Solomon Islands. A chocolate bar and molten chocolate. Chocolate is made from the cocoa bean, which is a natural source of theobromine.